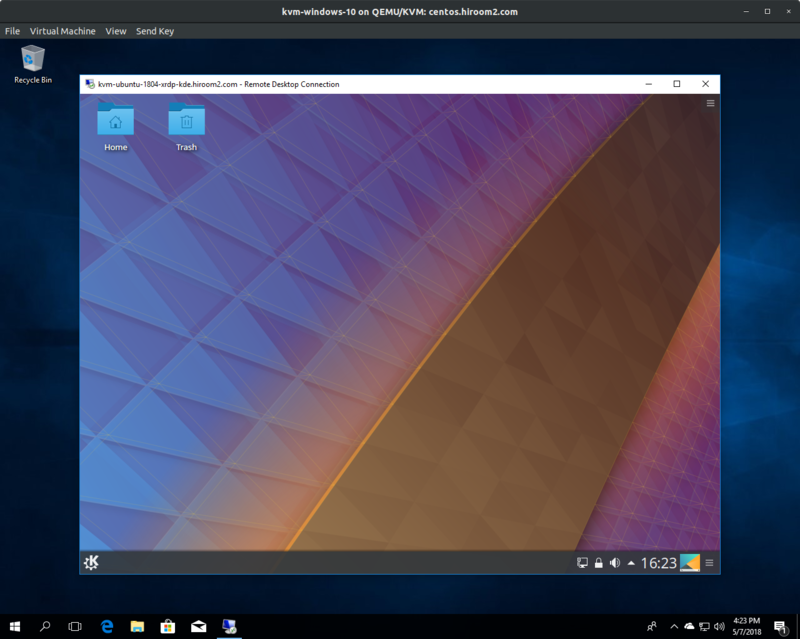 This article will describe installing KDE desktop environment and XRDP, and connecting to KDE desktop environment via XRDP. Install KDE desktop environment with this. 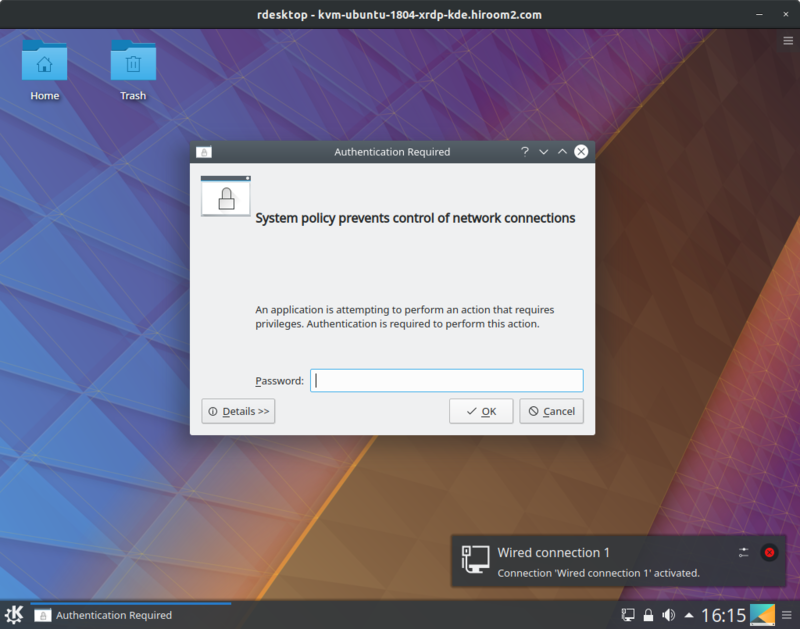 Authentication Required dialog will be displayed after XRDP connection is established. For avoiding Authentication Required dialog, create the following pkla file which will success authentication. You can use unix-user:* as Identity and no as ResultAny which will fail authentication.